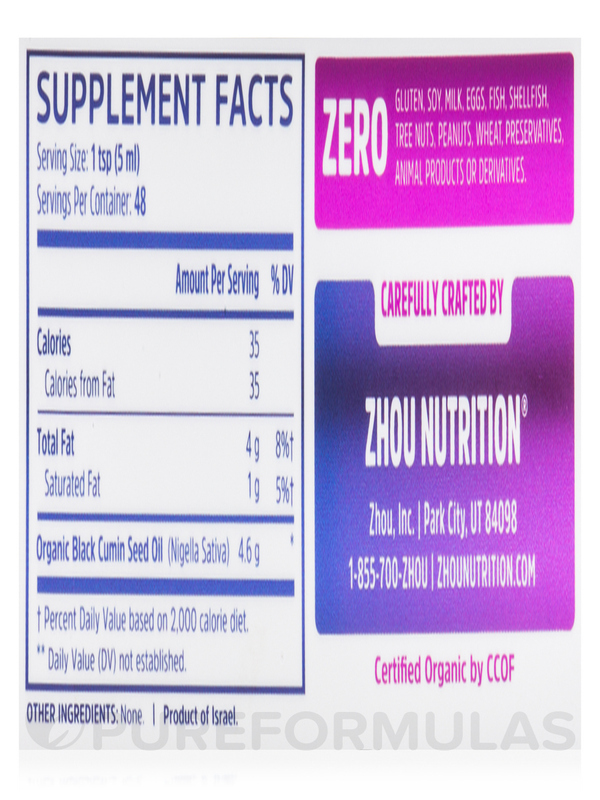 Powerful Immune Support: Made with cold pressed‚ 100% pure‚ non-GMO black seed oil‚ Zhou Nutrition’s Black Seed Oil Capsules are crafted to deliver powerful immune support. This super antioxidant is intended to help enhance the body’s natural defenses and keep your immune system active and ready for anything. 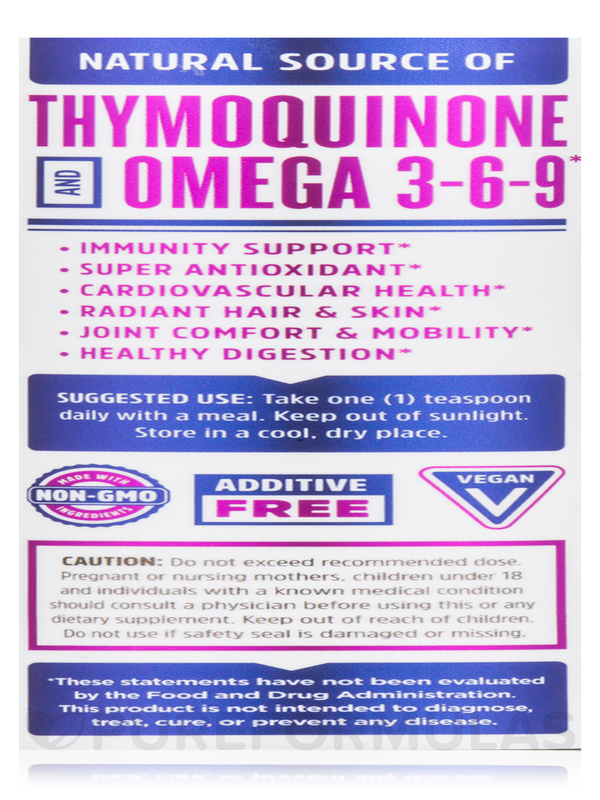 Research suggests that thymoquinone and nigellone‚ a key component of the oil‚ may help promote healthy cell activity in the body. 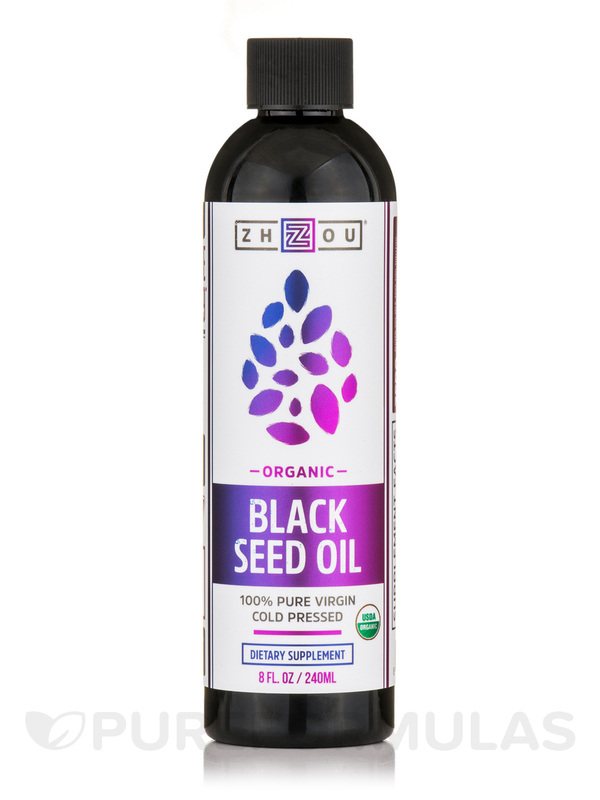 Heart Healthy Nutrients: Zhou's USDA Certified Organic black seed oil‚ also known as Kalonji oil‚ is a vegan omega 3-6-9 oil that provides nutrients that work to help support cardiovascular health. Hair & Skin Superfood: This black seed oil supplement also helps support thick‚ lustrous hair and glowing skin. 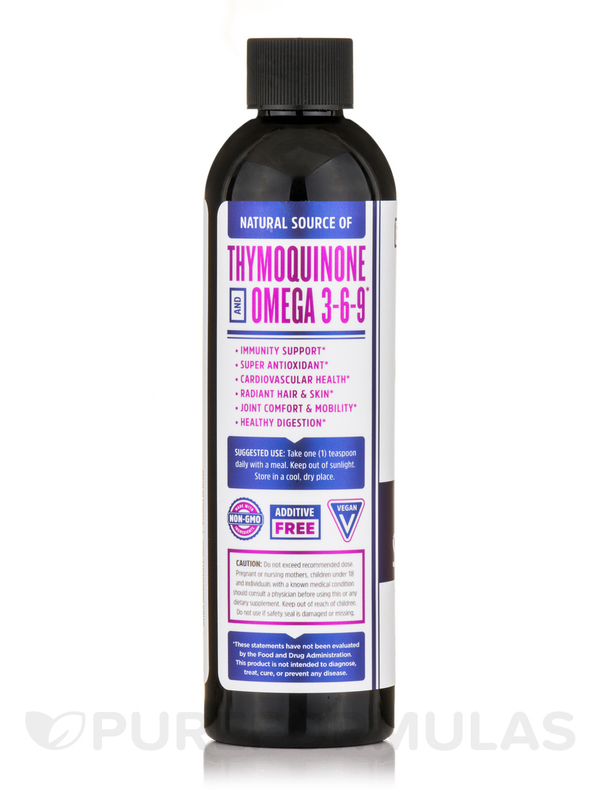 Naturally occurring omegas‚ amino acids‚ and antioxidants work together to help add strength and fullness to the hair and support youthful-looking skin. Joint & Digestive Comfort: Additional studies suggest that black seed oil may help support joint comfort and mobility. Ideal for people with poor digestion‚ it may help calm intestinal muscles‚ provide digestive comfort‚ and curb your appetite so you stay fuller longer. No: Gluten‚ soy‚ milk‚ eggs‚ fish‚ shellfish‚ tree nuts‚ peanuts‚ wheat‚ preservatives‚ animal products or derivatives. 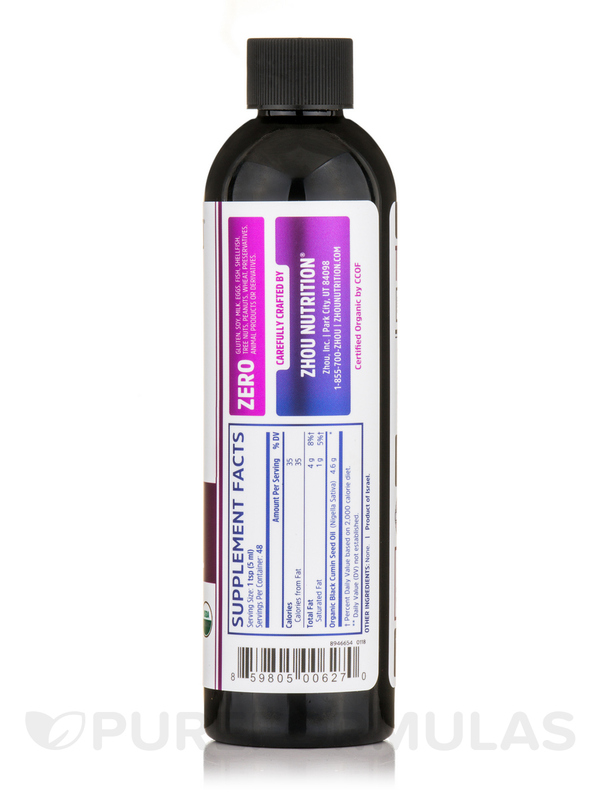 USDA Organic / Non-GMO / Vegan / Vegetarian / Additive-Free.